During your eye examination, be prepared to talk about any changes in your medical history since the last time you saw your eye doctor. If this is your first time in our practice, you’ll be asked to provide a more complete medical history, including a list of medications you’re currently taking, and any vision problems your parents may have experienced. You will also wanto to bring your current glasses and contact lenses. We use the most up-to-date technology to help determine the overall health and quality of your vision. We test to see if your current prescription glasses or contacts (if you have one) is still meeting your vision needs. Your optometrist will also check your eyes for signs of any potential vision problems or eye diseases. In many instances, your pupil may be dilated (opened) using special drops so that your eye doctor can better see the structures of the eye. Our doctors will review with you the current state of your eye health and vision, and your eye doctor may “prescribe” vision correction for you in the form of eyeglasses or contact lenses. Any health concerns or possibly serious vision complications will also be discussed, including the next steps you must take to preserve and protect your sight. How Long Is a Comprehensive Eye Health Examination? In general, a routine eye exam will last less than an hour depending upon the number of tests you have, and may be partially or completely covered by many vision or medical insurance plans. Visiting eye doctors as a result of a vision screening is also common. However, vision screenings offered by health clinics, pediatricians, public schools or local charitable organizations are not a substitute for comprehensive eye exams. A screening only tests 6% of your total visual needs. Be sure to bring the findings from your screening to your eye doctor—it’s a great way to begin the discussion of your current eye health. 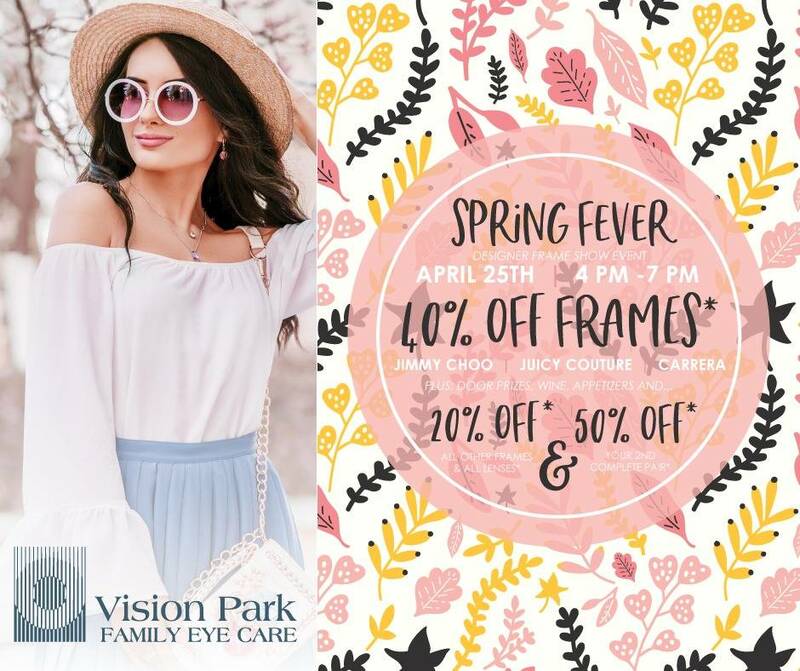 In addition to annual eye health exams, Vision Park provides emergency eye care for patients with red eyes, pain, loss of vision, flashes and floaters, and foreign objects in the eye. For eye doctor visits that result from eye pain, eye discomfort or vision problems you actually can see, expect to take many of the steps involved in a routine eye exam, but specific to the symptoms you’re having. There may be a number of additional tests required as well, so it’s important—especially when suffering pain or discomfort—to allow for as much time as possible for this examination. Many vision problems and eye diseases often present with minimal or even no symptoms. That’s why it’s so important to make regular appointments to see your eye doctor. And since vision can change gradually over time, it’s important to know that you’re seeing your best, year after year.